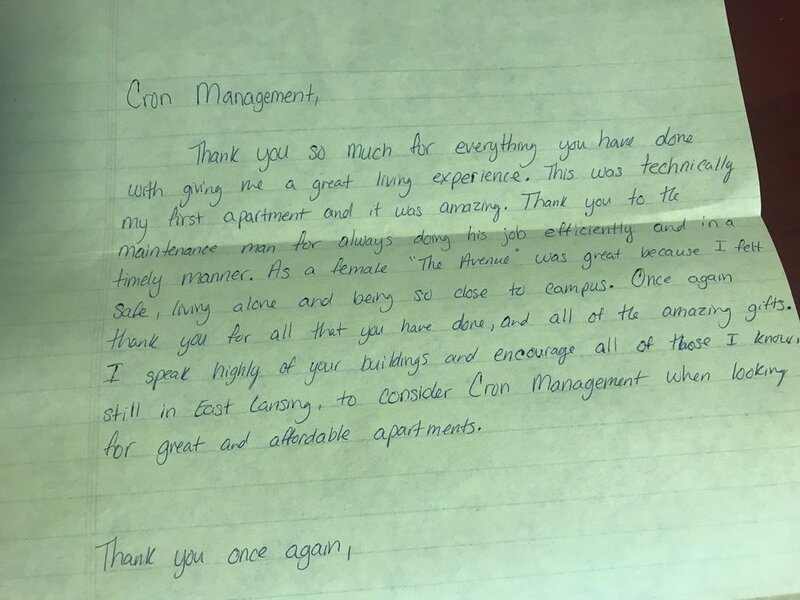 Hear what our tenants have to say about us! "THANK YOU for the wonderful last 2 years of renting at Treehouse South! I have come to have a great appreciation for your high quality maintenance and overall service that I am experiencing a new management company." -Tenant, Treehouse South, 2013-2015.